My research interests and expertise can be broadly described as wave propagation in complex media. 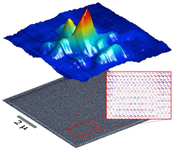 It spans the areas of condensed matter physics, optics and photonics. 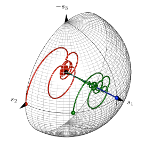 I conduct analytical and numerical modeling with a view toward experimental corroboration. 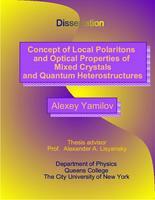 Concept of local polaritons and optical properties of mixed crystals and quantum heterostructures. 2012 - 2016 National Science Foundation, "Collaborative Research: Anomalous Transport and Wavefront Shaping in Complex Photonic Media"
2009 - 2010 University of Missouri Research Board, "Electromagnetic wave transport through disordered amplifying optical fibers"
R. Weaver, O. Lobkis, and A. Yamilov, physics/0509215; Why do we call it a UASER? A. Yamilov, X. Wu, X. Liu, R. P. H. Chang, and H. Cao, Physical Review Letters 96, 083905 (2006) For more information click here. 12. Frontiers in Optics 2004, Rochester NY, October 10-14. 11. Frontiers in Optics 2003, Tucson AZ, October 6-10. 10. 2nd International Conference on Semiconductor Quantum Dots, Tokyo, Japan, September 30 - October 3 2002. G.S. Solomon, Z. Xie, W. Fang, J.Y. Xu, A. Yamilov, H. Cao, Y. Ma, S.T. Ho. Mesoscopic Optics: Carrot laser anyone?